Sammilani Mahavidyalaya was established on 12th of December, 1996 at the initiative of some academic entrepreneurs with a definite objective to impart knowledge and skill to the young generation of the Locality. Along with those academicians, enthusiasts from all sections of the society also rendered their active co-operation in this selfless venture. Initially the college started functioning from the Local secondary school. Santoshpur Vidyamandir (Boys) and the classes were held in the evening. 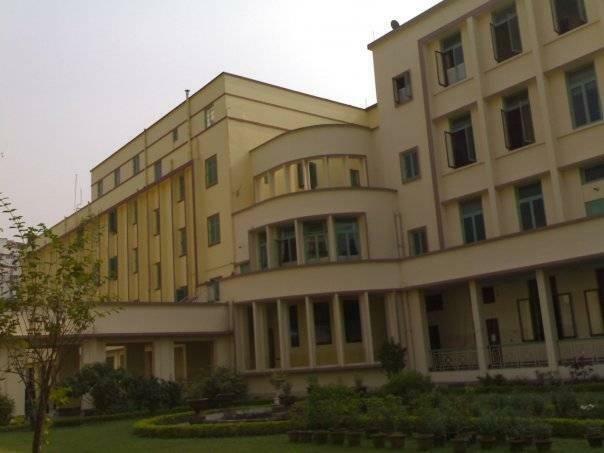 Within a record period of only seven months, its new building was constructed and the college was shifted to its present address. The college has been accredited by the National Assessment and Accreditation Council in 2005 and awarded Grade ‘B’. It has also been assessed by the Department of Higher Education, Govt. of WB in January, 2010 under the State Level Assessment Program (SLAP). The college which started with only three students is now busting with thousands of students in different departments of Arts, Science and Commerce faculties. The active and moral support of Sri Buddhadev Bhattacharyya, former Chief Minister of West Bengal, unyielding devotion of Sri Kanti Bhusan Ganguli, former Minister of Sunderban Affairs, Govt. of West Bengal (and also erstwhile Secretary of the Preparatory Committee of the college), the sincere dedication and guidance of Late Prof. Rama Ranjan Mukhopadhyay and late Prof. K.P. 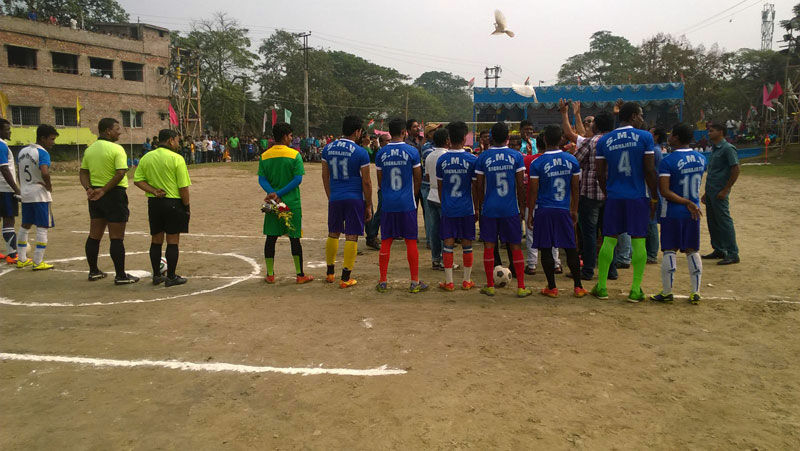 Majumder and efforts and services rendered by all these persons, who are associated with the college in one way or other have helped the college in attaining its present position as one of the Leading Academic Institutions of the locality. Today, the college is on the fast track of progress and success yet, there are many miles to tread before our dream comes true, before our vision materializes into reality. 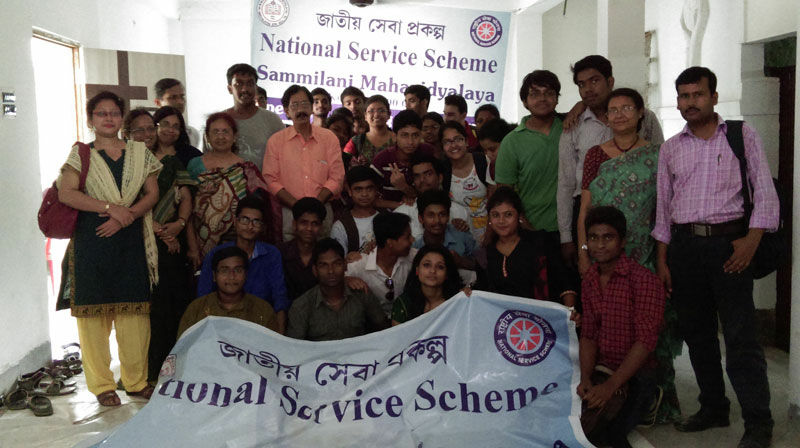 Why to Join Sammilani Mahavidyalaya, Kolkata, West Bengal? Unmatched quality in education: The college provides qualitative and qualitative education under one roof. To keep up with this standard, it organizes seminars and workshops from time to time and motivates its students to participate in large numbers in all these activities. Industrial visits and field trips are organized to introduce the students with the real work environment of their probable future work place. Guest faculties are invited to take classes on their related subjects. 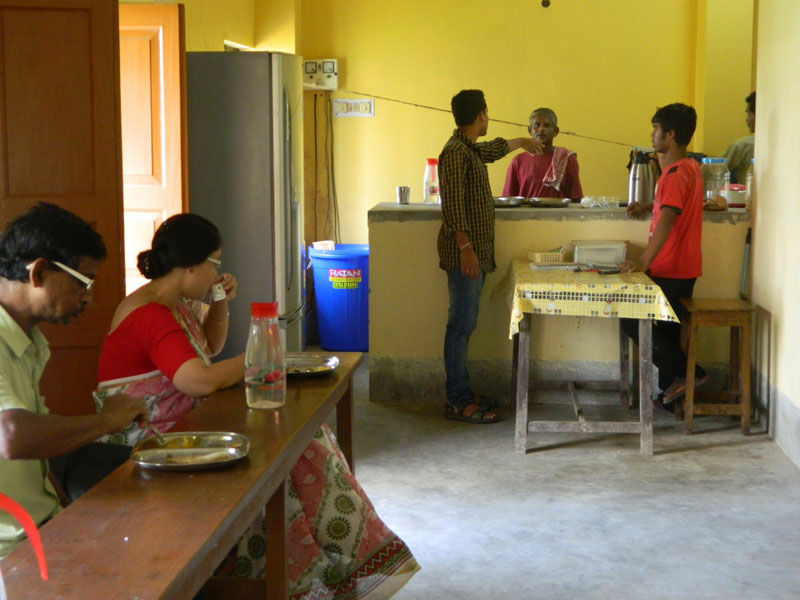 Facilities: The college has a well-furnished infrastructure offering varied facilities within it. 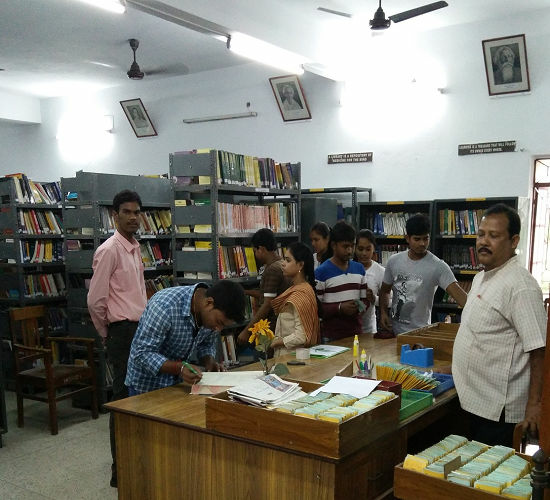 There is a huge library with lot of books, and academic materials, a stationery store, canteen with nutritious food items, labs, placement cell, and health services for students, NSS, anti ragging and sexual harassment cell, and research activities. To adopt Total Quality Management model (TQM) with the participation of everyone in the organisation. Completion of courses as per “Academic Calender”. Quality initiatives and best practices in teaching, learning & evaluation process. Introduction of more employment generating courses. Organising different workshops for enhancing the teaching efficiency of teachers. Developmental programmes for non-teaching staff. Encouragement for faculty exchange programme. To provide the needed infrastructure that will be supportive of teaching and learning environment. More stress on “Feedback and encouragement” so that students can learn better and deeper. To adopt a continuous process of evaluation the strength for identification of the strength, weakness, opportunity and threat (SWOT) of the college.